Here is our Interview about the upcoming Dragon Ball video game: Dragon Ball Xenoverse. Bandai Namco Games allowed us to talk with the producers, Masayuki Hirano (Bandai Namco Games), and Masahiro Kashino (Dimps Studio), at the Paris Japan Expo, an anime / video game / japan related convention. We asked a few questions during 15 MINUTES. I would love to have asked a lot of more questions, and more details, but I really didn’t had enough time. First of all, I’m deeply sorry if my english is not perfect. If you have any questions, please feel free to contact me on Facebook, Twitter, or by mail. How many characters can we expect ? We can’t reveal a specific number, as we are still working on it. Can we expect some characters from the movie DBZ Battle of Gods ? We are still working on the list of characters. Of course, the movie Battle of Gods has to be considered. But it’s not decided yet, so we can’t tell a specific number, nor if Battle of Gods will be included or not. Anyway, we have to think about this point. Will there be other new characters, like the mysterious red hair guy, and the silhouette revealed yesterday (see picture below) ? We will soon release more informations about new characters. You can expect that new characters will be implemented in the game. 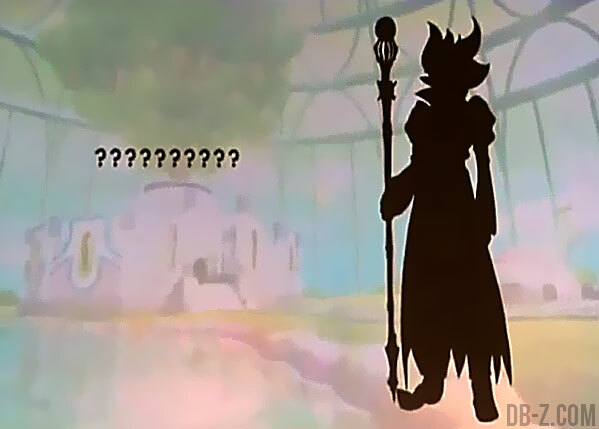 For the moment we’ve just announced the mysterious character from the future, and this silhouette, but in the coming months, we will reveal more informations. Will the game feature the linear Dragon Ball story mode, or a new story mode ? Good question. There will be a new story, but still featuring the Dragon Ball Z characters. We know that Dragon Ball fans love the original Dragon Ball characters, so even if the story will be new, we had to pay attention not to break the Dragon Ball World by adding new characters. We had to think about how to introduce new characters in the Dragon Ball World, without breaking it. 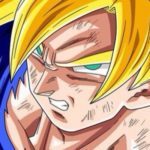 Will there be a story mode in relation with the previous Dragon Ball OVA ? We would like, but we can’t decide by ourselves, as we are not an animation studio. Anyway, we have to work on that, but it’s not decided yet. But we hope so. When we have begun to develop this game, we wanted to challenge new things in a Dragon Ball game. Basically, in the previous Dragon Ball Games, you had to chose a character and to fight… It was always the same user experience. Can we play 1 vs 1 on the same console ? Will the screen be divided ? No. You can play on the same TV and the screen won’t be divided. Can we expect giant boss battles ? The Producer said : No. The Translator said : Please wait for further information in the future. We can not reveal this for the moment. Will there be some little cinematic transition when a character transform? As you know, you can transform during your fight. Characters can transform immediately, without delay. Thus, players won’t feel the stress of waiting. We want to make the fight as smooth as possible. Will there be QTE (Quick Time Event)? We want to offer real time battles, which means: no QTE, and no transition cinematic when you transform. 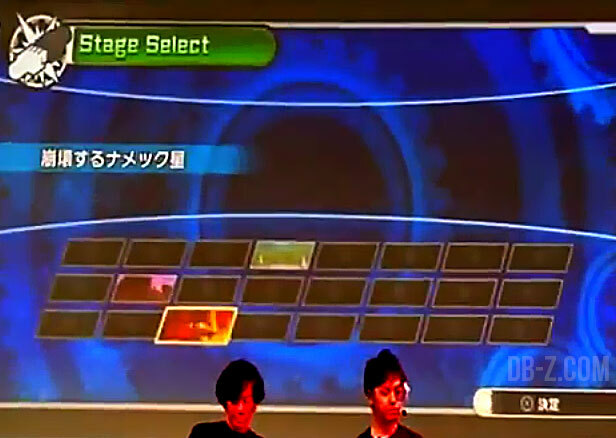 Yesterday, during the presentation, we could perceive 24 stages on the screen… Is this true ? The game is still in the middle of the development, so it’s absolutely not decided yet. No specific number has been fixed yet. How big will be the stages ? 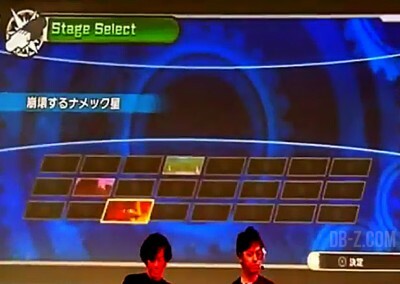 Each stage will have a specific size. So you will have very large stages, and some less larger stages depending on where you are. Will there be DLC ? Regarding the DLC, we are working on it. We are still considering whether there will be DLC or not. Nothing has been decided yet. Will there be a demo ? We haven’t decided yet… (as the game is still in the middle of the development). When will the game be approximately released ? Stay tuned for more on Facebook and Twitter !